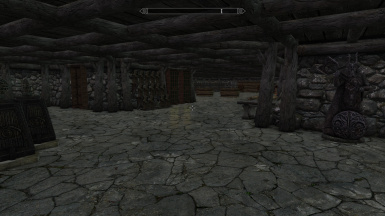 This is a storage unit and workshop that is linked to all 8 of the homes you get from the Yarls. 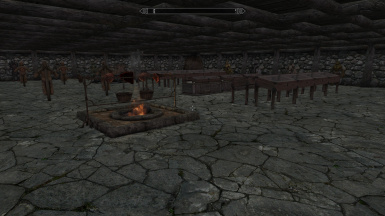 You need soupdragon1234's TNF Beds Plus mods installed because the placement of the trapdoors in the homes depends on these mods. Also, I used resources from MrDanSG1's Modder Display Compendium for the unique displays. This relies on soupdragon1234's TNF Beds home layouts. 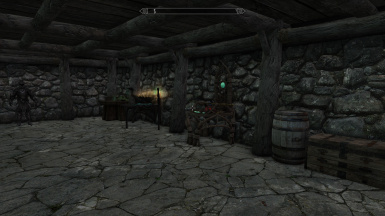 I also used resources for the unique displays from MrDanSG1's Modder Display Compendium - Custom Displays for the Collectible Items found in Skyrim mod. 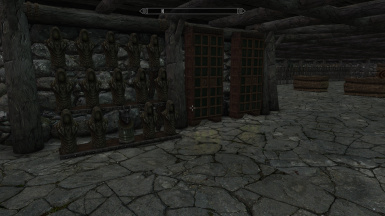 Added unique displays for masks, Elder Scrolls Black Books and a few more things. 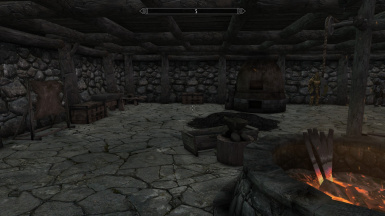 This is a mod that is compatible with Hearthfire and Soupdragon1234's TNF Beds Plus mods. 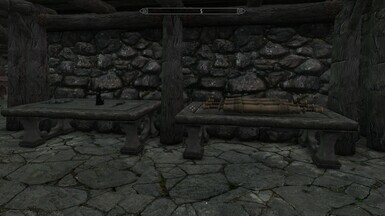 It is located on the other side of the river from Riverwood. The key is located in front of the door. The key to the display cases is on the Enchanting desk. 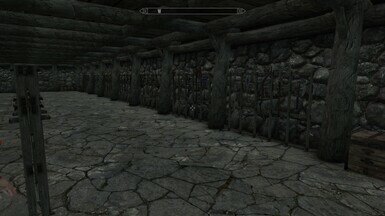 The keys to the Hearthfire homes are in those homes basements next to the trapdoors by the forges. The key to Hjerim is next to the trapdoor in Hjerim. 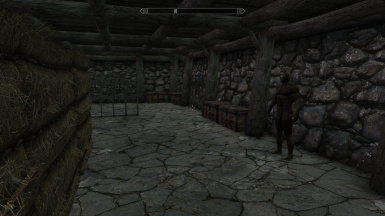 There are 2 archery targets, 4 training dummies, 10 mannequins, 16 large weapon cases, 12 dagger cases and a lot of weapon racks. 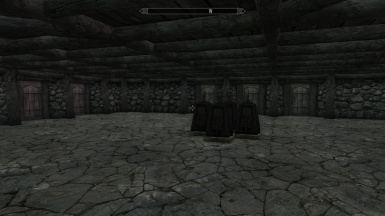 There are also chests, barrels and bookcases for storage. This is my first mod for any game, so, I tried to keep it simple. There is just 1 room with everything in it. 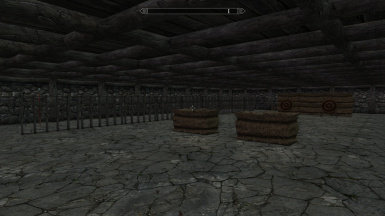 The unique displays in the hall(mask, Elder Scroll & such) and the Black Book and Wuuthrad display was provided by MrDanSG1's Modder Display Compendium - Custom Displays for the Collectible Items found in Skyrim mod.